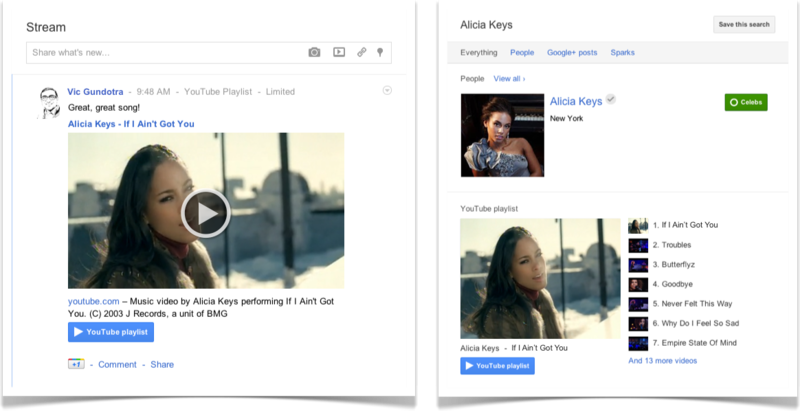 New instant YouTube tab on your Google+ home page is pretty neat. There goes Google, quietly rolling out new features. Wonder whats next? A few weeks ago Larry mentioned that we’d start shipping the Google part of Google+. The Android team then launched Ice Cream Sandwich, with a focus on improved sharing via Google+. And today we're rolling out two more Google+ features that integrate with two more Google products: YouTube and Chrome. It'll slide out and ask, "What would you like to play"?